Know a lot of words? Try WordPlay and find out! Have you ever played Scrabble? Did you like it? 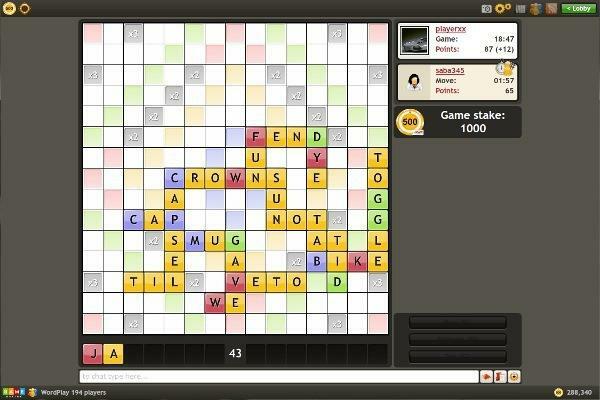 If yes, then you will surely like our WordPlay – great way to compete and have a good time. The possibility to play for GameChips will make the game even more competitive. When you begin a session you first enter the game room where game tables are found. To begin a new game you can either join an existing table or create a new table by clicking "create table." 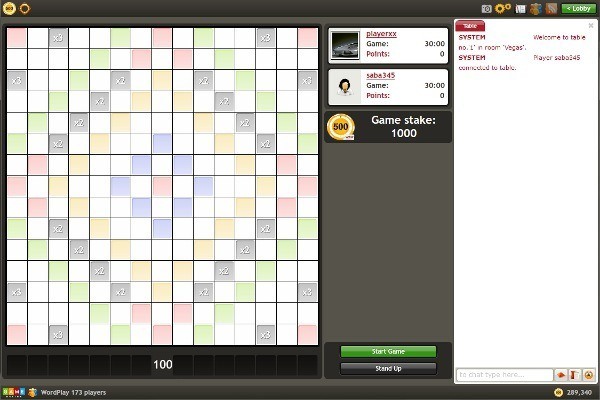 The first player starts the game by placing letters in the center of the board to form a word and clicks "ok."
If a letter is placed on a cell of the same colour as the letter, the letter scoring is multiplied by three. 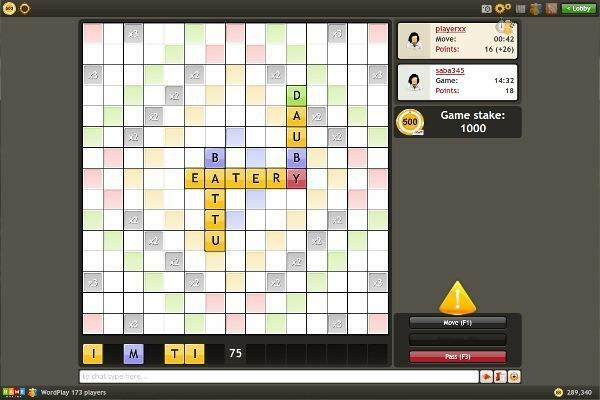 White tiles can be used as any letter the user chooses. 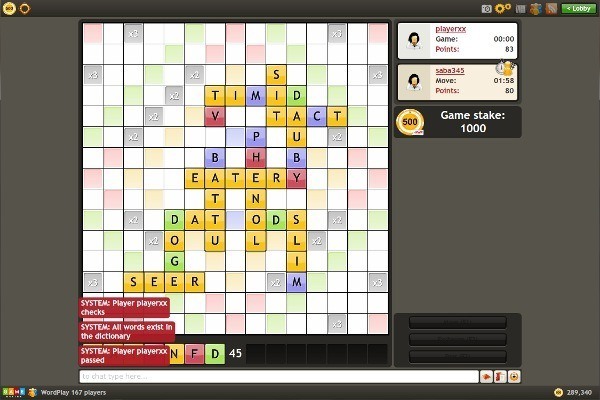 The game ends when the time runs out or if all players fail twice in a row to make a new word.